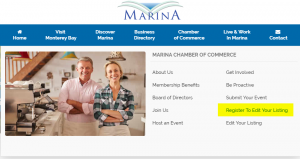 Members Get Prominent Status In The Marina Chamber of Commerce Business Directory. 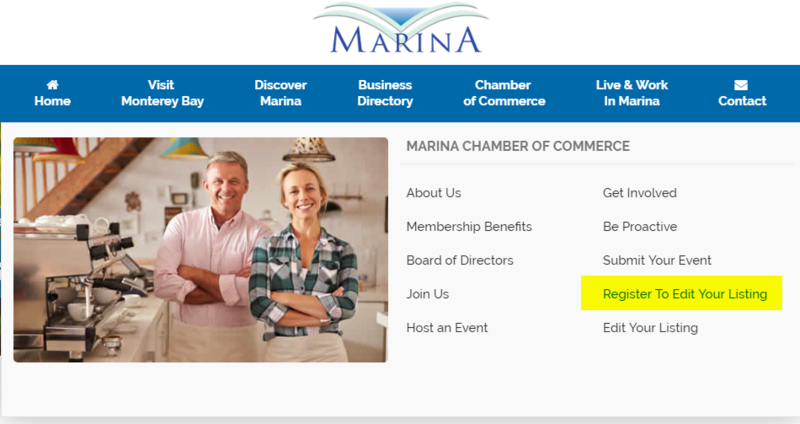 One of the benefits of being a member is the prominence our members get in the Marina Chamber of Commerce business directory. 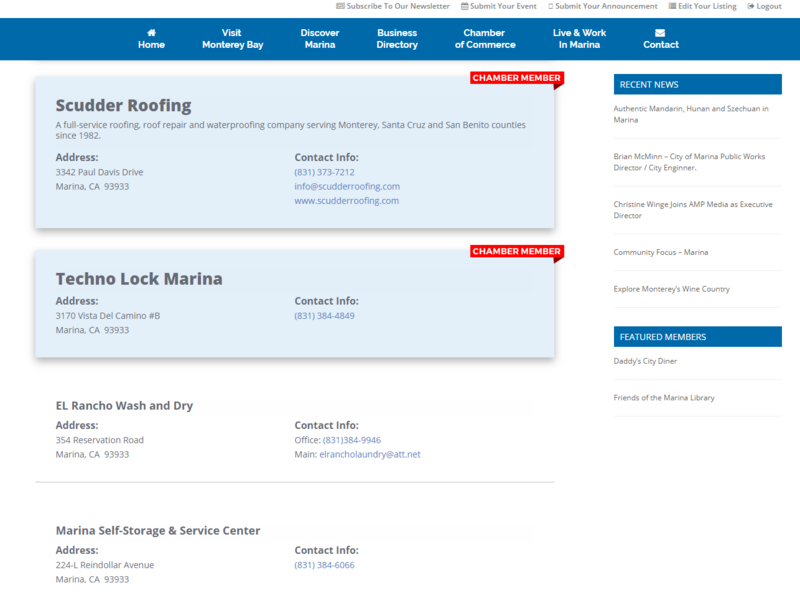 Our business directory pages are listed in alphabetical order per category, but you will notice that our members are highlighted at the top of the list regardless of alphabetical order, much like for a paid ad in Google’s search results, without the extra expense to you. Many local chambers charge a little extra for that kind of benefit, but we feel that our local members deserve this kind of a value-added benefit just for being a member. 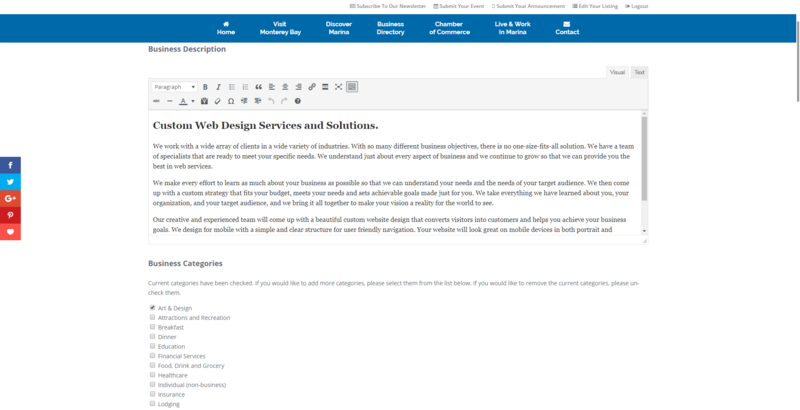 You also get your own business page. 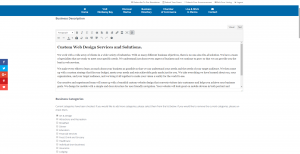 Did you know you also get your own individual business page? That’s right! Many of our members cannot afford their own website so we built our new website so that members could have all their information listed here. 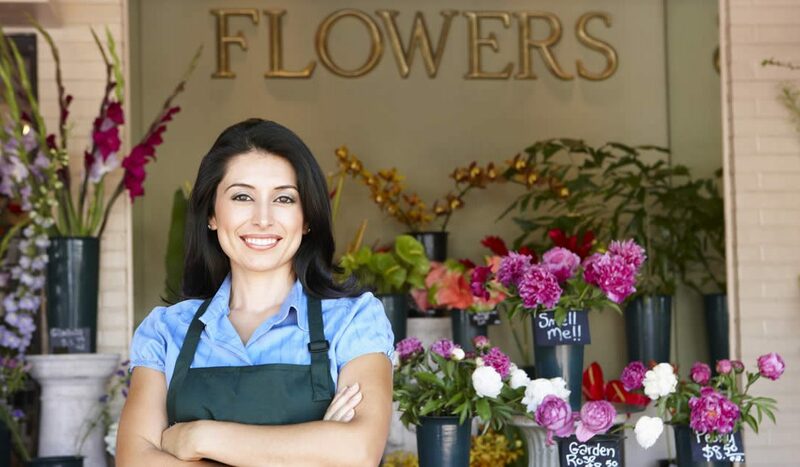 When visitors click on your business in the directory, it leads them to your own individual page dedicated just to your business. 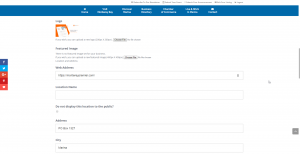 Take a look at some of these examples of business who are already taking advantage of this new feature. Getting started is easy. The first thing you need to do is register to edit your listing. 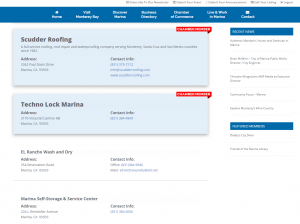 There is a link in the “Chamber of Commerce Menu Item” or click here. Keep in mind your business must already be in the directory. Logging in to Edit Your Marina Chamber of Commerce Business Listing. 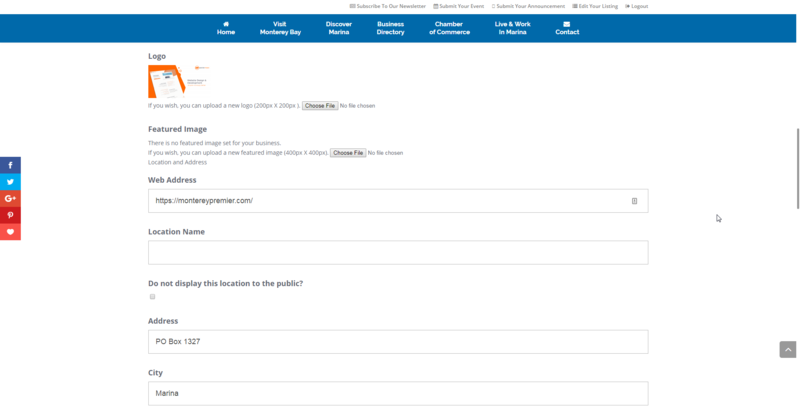 Once approved, you will be able to log in using the link in the “Chamber of Commerce” menu item or using the link at the top of the page. Once logged in, you will be able to update all of your business details. Here is an example of what details you will be able to change. Get started today and add specials, discounts, menus and all the works. Then start sharing your new page on Social Media, with friends and family, and anywhere else. Perhaps even add a special coupon code and tell people to go to your new page to receive the coupon code for a percentage off your next order. 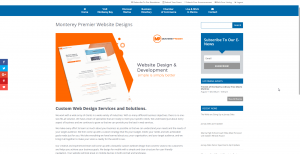 This is a great opportunity for businesses that do not have a web presence already. And if you do have an online presence, then having your listing updated on our website will help improve your search engine optimization and exposure. 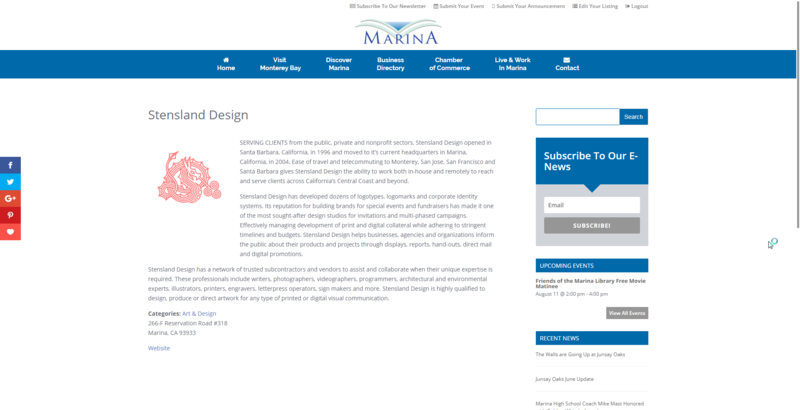 More on search engine optimization and how we can help your business reach a greater audience in the next article.